The buildings that strike the traveler most forcibly, however, are the new railroad stations...their manifest beauty and appropriateness, their admirable construction, and convenient arrangement for the purposes of their use...make them models of railroad architecture . . . all [the buildings] are thoroughly harmonious, and suggest the comfort, the convenience, and even the cozy prettiness to be found in the internal arrangement, furnishing, and decoration. The Standish Depot, constructed in 1889, was one of these new stations. The original depot was built in 1871 (south of M-61) just after the Lansing, Jackson and Saginaw Railroad finished a new line north of Bay City to Wells. The City of Standish was platted around the railroad line, so the railroad was the key to the community's growth and success. After the MCRR leased the line in 1871, it built new lines across the state, reaching Mackinaw City ten years later. With Detroit now linked to most of the Lower Peninsula, the MCRR could focus on improving the passenger experience. When the citizens of Standish asked for a new depot, MCRR told them they would receive a completely new structure if they supplied the stone. Local farmers answered the call and brought wagon loads of large field stones to the site. Site grading was finished for a grand total of $1000, and construction began in May 1889. The entire building was finished the week of October 13, 1889. A newspaper article proclaimed the new Depot "a little daisy." "The MCRR have done much, and are continuing the good work, to make Standish the largest, liveliest, and best town on their road north of Bay City; and have spent more than $10,000 there in the past year, their stone passenger depot alone costing $5,000." 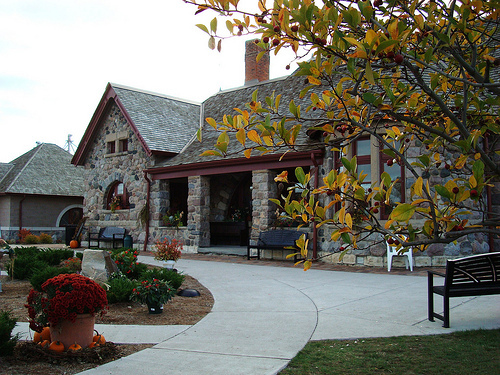 The architect for the Standish Depot was probably Frederick Spier of the well-known Detroit firm of Spier and Rohns. This firm designed many Michigan depots including Dexter and Niles, and a number of imposing Detroit landmarks like the Chamber of Commerce Building. The Standish Depot is a modest yet fashionable example of the Richardsonian Romanesque Style, popularized by the famous architect Henry Hobson Richardson of Boston. Detroit contractors Nelson J. Rogers and Robert M. Adams were in charge of the construction. Adams and Rogers built the Dexter Depot in late 1880s, so they were already familiar with Spier and Rohns designs. A year after the Standish Depot was finished, Rogers collaborated with another contractor to build a twin depot in Lawton. In the 1880s a total of eight trains stopped daily; by 1929 the number had dropped to four. Over time, the road in front of the Depot served more traffic than the railroad. In the 1940s the Fletcher Oil Company built a gas station in front of the Depot, bringing the number of gas stations along "Gasoline Alley" to seventeen. 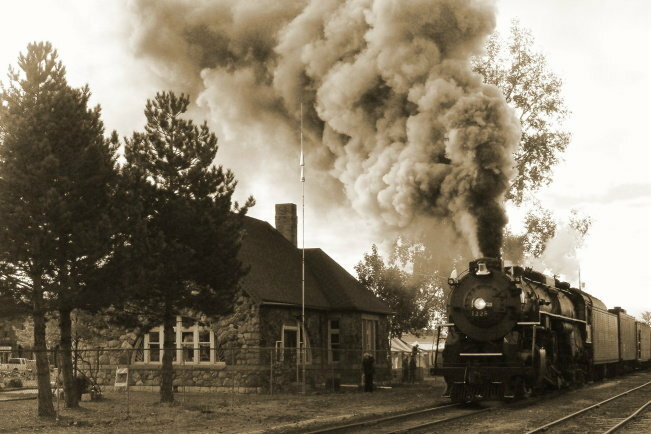 The Standish Depot served passengers until the 1960s and freight traffic until 1972. The Depot was home to a variety of enterprises in later years, including a real estate office, but all of the occupants left the building features largely intact. Due to its fine condition, the important role it played in the history of Standish, and the architecture of the building itself, the Depot was listed on the National Register of Historic Places in 1991. 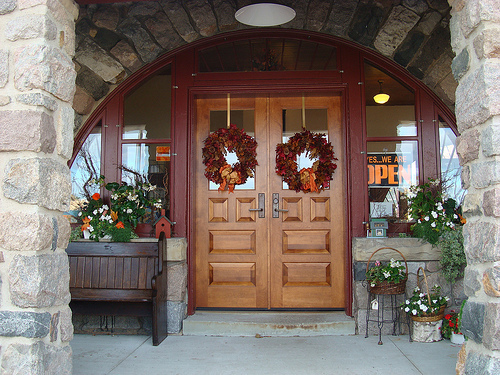 The Standish Depot serves as a Welcome Center at the southern gateway of the US 23 Heritage Route.